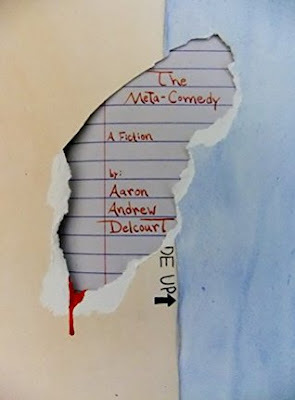 The Meta-Comedy by Aaron Andrew Delcourt was a real pleasure to read despite the fact that I'm not entirely sure on how to put this into words the reasons why. I always enjoy twisted logic and a unique sense of humour, so describing what this book is about is not an easy thing. It isn't a conventional story at all, and lacks elements which we usually associate with works of fiction. A pick'n mix of genres that is riveting, funny and crisply written. I aspire to be as unflinchingly brave as this author.